Whether you are a First Time Buyer, remortgaging, moving home, looking for a *Buy-To-Let mortgage or have credit problems we will take the time to provide you with unbiased professional advice. You can either visit our offices or we an meet at your place of work or in the comfort of your own home. Just complete our Initial Enquiry form and we will contact you to discuss your requirements. Alternatively telephone our office on 01245 290609 and talk directly to a qualified mortgage consultant. In addition to mortgage advice we are able to offer advice on Mortgage Protection as well as Buildings and Contents Insurance. Your home may be repossessed if you do not keep up repayments on your mortgage. 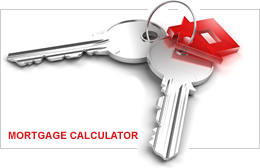 There will be a fee for arranging your mortgage, this is only payable once you receive your mortgage offer. The fee is £295. *Please note that most Buy To Let mortgages are not regulated by the FCA. © 2019 MPA Mortgages Ltd.